Spotless, operationally sound facilities geared for service excellence are within your grasp. Take control of your geographically dispersed asset base with a consistent approach. Get access to an accredited network of maintenance resources. As a retailer, your strength lies in providing a consistent experience which contributes to an established brand and, ultimately, customer loyalty. This isn’t always easy, given that your many assets may be dispersed over a large area. At the same time, retailers bear heavy expectations in terms of legal, environmental and HSE compliance. 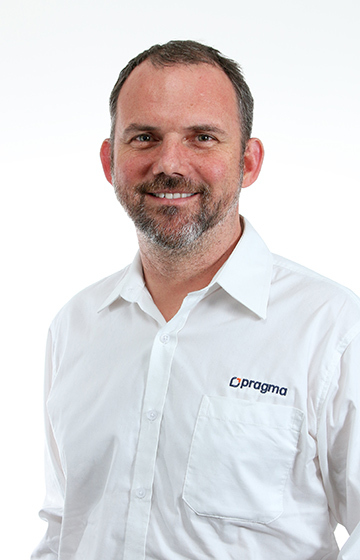 Pragma’s proprietary On Key EAM system is a proven solution to the manifold challenges inherent in this operating environment. It helps us build a complete asset register, so that we are able to monitor and maintain your entire asset base. Added to this, our highly skilled team of asset management engineers has amassed significant experience in maintaining a distributed asset base, positioning us as an ideal partner to drive down costs and create safer working conditions. We provide timeous and accurate information for effective decisions. We ensure that your facility support services are provided with efficiency at best value. Leading international retailers trust us with their assets. As asset care specialists, our engineers keep abreast of the latest principles, techniques and conversations in our field and actively support our clients’ asset management and maintenance strategies. We further assist clients through the Pragma Academy, which offers short courses to guide strategic and tactical managers as well as operational teams in the establishment of their own asset management programmes. The Academy also offers a three-year Certificate in Asset Management. Our solid IP foundation has been developed over more than two decades. Combined with our engineers’ asset management expertise, Pragma is geared to design custom processes and implement methodologies to ensure that your asset base is optimally maintained. To do this, we implement processes to ensure a safer working environment and assets that operate within specification, with reduced unplanned maintenance activities. On Key integrates easily with your ERP system as well as condition monitoring equipment used in the field, incorporating data from our contractors to create tactical plans so that maintenance issues can be handled proactively. This reduces the interruptions that result from machinery and process failures. We are also able to work with your existing CMMS. Our client gained control of their assets and now know what assets they have, their location, condition and value. Since the implementation of the initiative, the statutory SLA for work orders completed increased from an average of 66% per month to an average of 94% per month. This is an increase of 28%. Our client is one of the largest supermarket retailers in Africa, operating from more than 2,500 outlets under 15 brands.